With autumn comes that back to school feeling, and mindful of research that school children spend 80% of their lives learning outside of the classroom, we began to wonder: What’s missing from the school bag? And what can parents do to support children’s home learning? 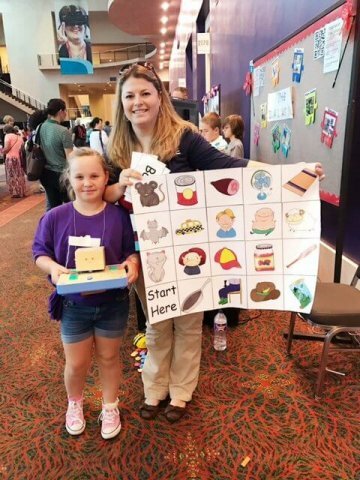 To give kids a head start in the skills they will need for today’s rapidly changing world, we passionately believe that introducing technology from an early age is the best preparation for a digital future. From that starting point, we developed the newest addition to the Cubetto universe – the Cubetto Logic Bundle. In it is everything you need to upskill your child’s coding logic with fresh challenges, all learned through our founding principles of tactile, hands-on play. You may have some questions, so read on as we explain all. Cubetto Logic Bundle – What is it? The Cubetto Logic Bundle is a kit for families who want to give their children a head start in coding by developing their logical thinking through play. 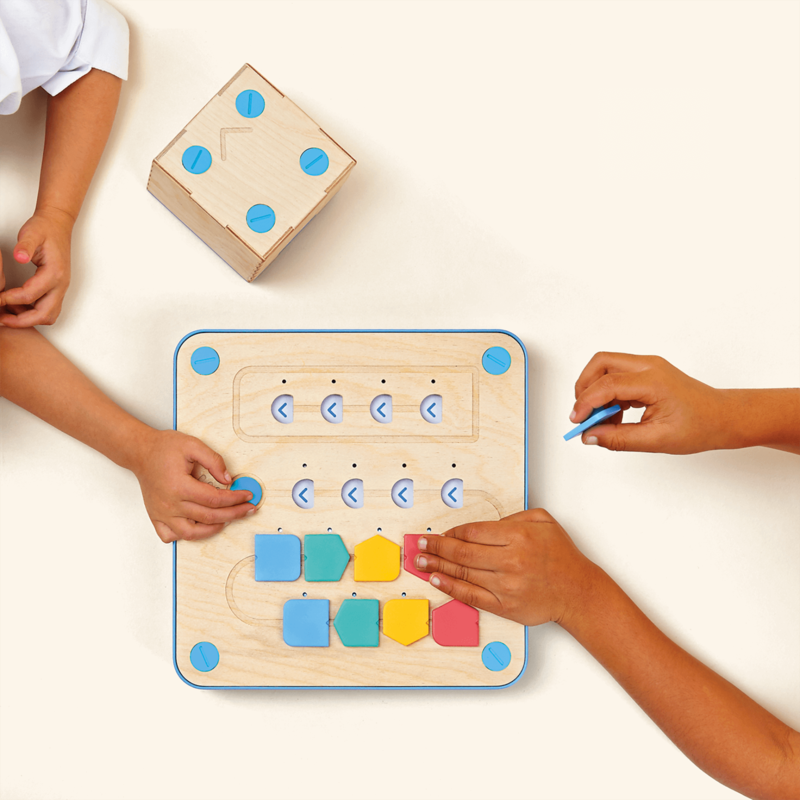 As well as mastering the basics of computer programming with the Cubetto Playset, young coders can take their skills to the next level by tackling more challenging concepts such as negation and abstraction. 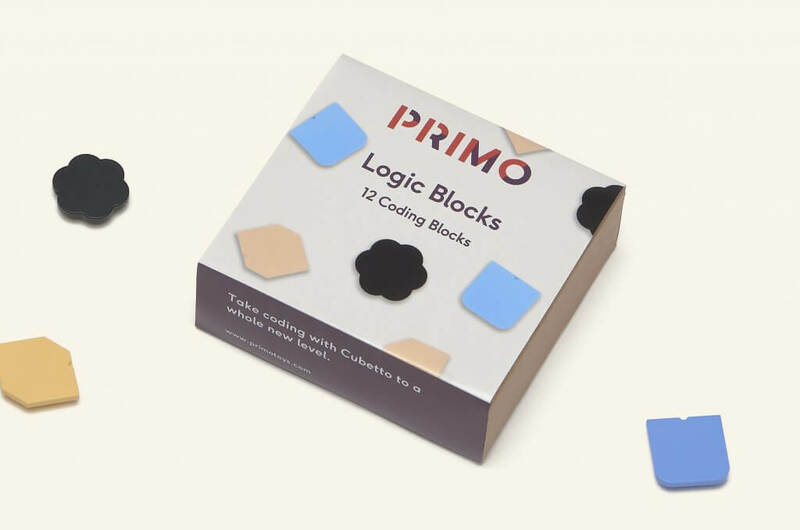 We created the Cubetto Logic Bundle to bring children’s coding skills to the next level by exploring further logic concepts that will develop their programming education. Kids aren’t just learning to code, they are, as Mitch Resnick puts it, coding to learn, in the same way that being able to read and write enables you to learn more. Our aim at Primo Toys is to empower children to be able to ‘write’ (ie create) with technologies, as opposed to just ‘reading’ (consuming) them. Resnick also talks about children being able to read technologies but not write or create them. 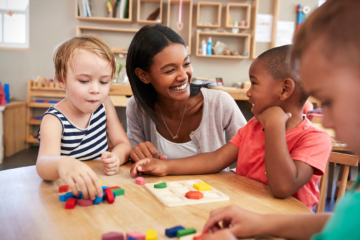 Mastering logical thinking gives children a strong foundation to tackle other subjects such as maths, science and design. Understanding concepts such as negation helps children apply reasoning to subjects beyond computer science, in literacy and numeracy for example. We think of mastering logical thinking as an invaluable part of children’s personal progression. 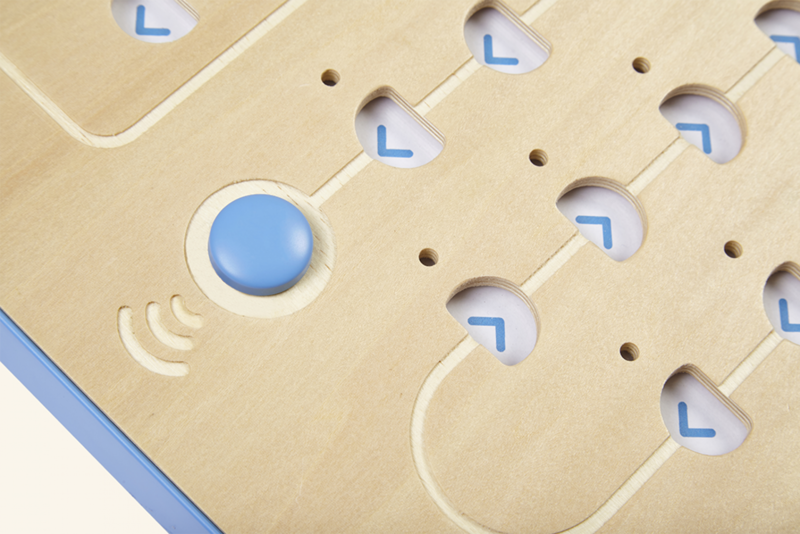 The new Logic Bundle extends the range of what your child can do with Cubetto. 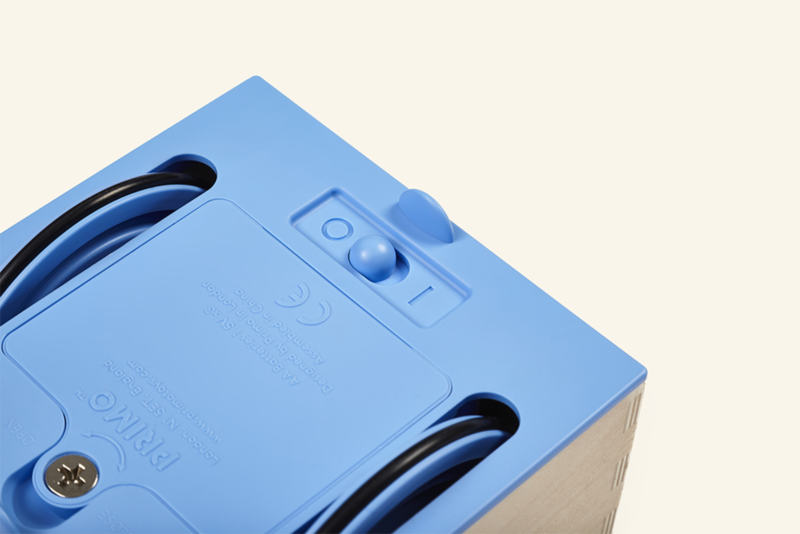 We designed it in response to a frequent customer request to make challenges more complicated. Our community wants to expand Cubetto’s functionality and the Logic Bundle takes coding with Cubetto to another level. The kit introduces unique challenges which cannot be found in any other books, and introduces new mechanics that will stretch children’s problem-solving and logical thinking abilities, skills that they will need to go through life and school. It has been designed to work with our Lesson Plans, which give educators many hours of imaginative ways to introduce computational thinking. 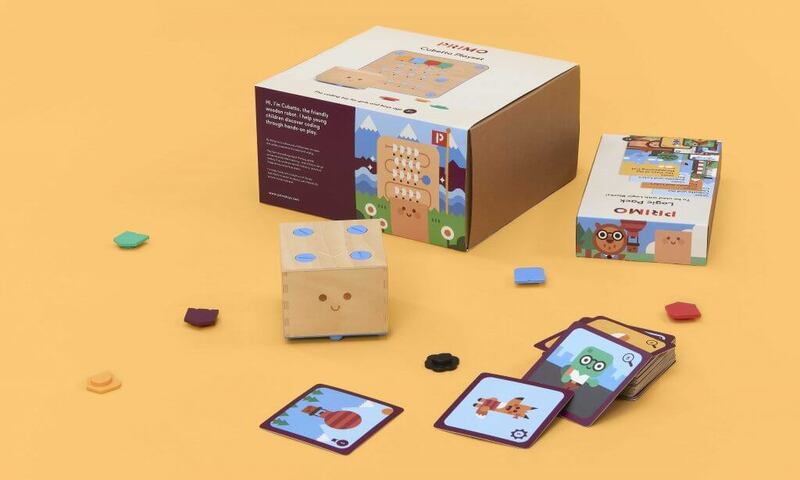 As a STEM toy for kids, the Logic Bundle enables you to strengthen children’s knowledge of the four cornerstones of computational thinking: Abstraction, Decomposition, Pattern Recognition and Algorithm Design. It opens up endless hours of educational play. Up to speed with coding basics? Next up – learn to predict algorithms! 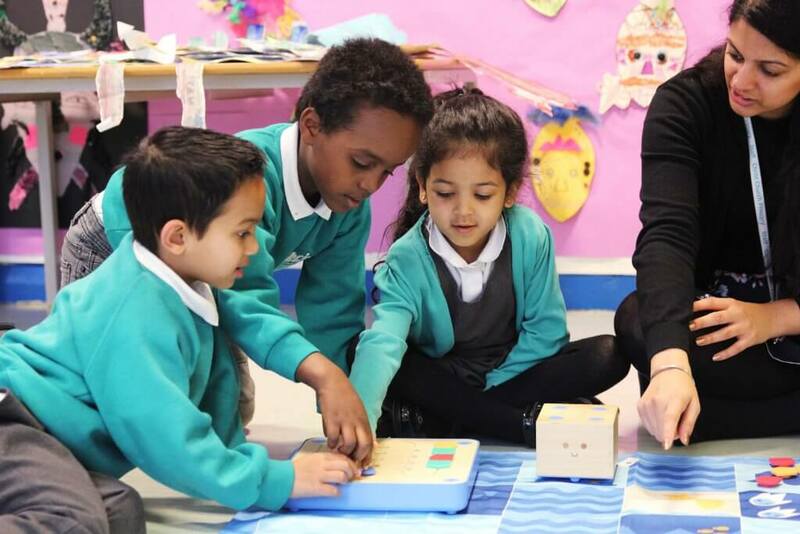 As well as discovering how to predict Cubetto’s movements, children practise planning with limited blocks. Trickier still is the negation block, which encourages lateral thinking. Probability is another key concept introduced, alongside the ability to respond to unexpected outcomes. 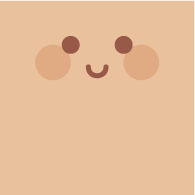 It’s all about challenging those little grey cells and having fun in the process. The Logic bundle includes the Cubetto Playset, as well as four exciting new additions to enrich play. Check out the Logic Bundle here! 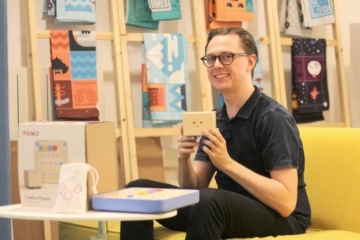 Coding for kids just got taken up a notch. 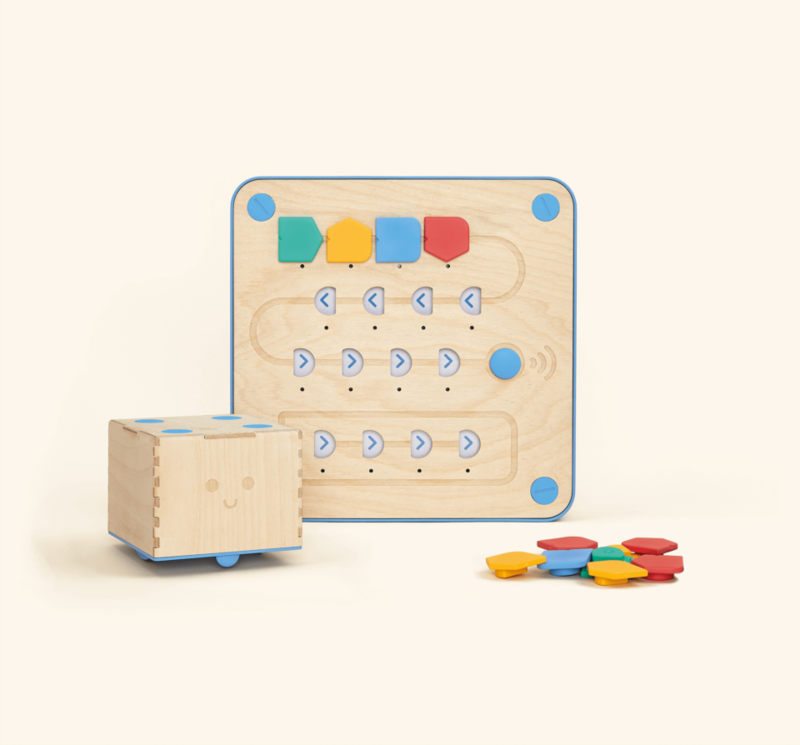 As well as four function blocks, which help little ones develop sequencing, the pack includes four each of negation and random blocks, our rather oppositional and unpredictable friends. 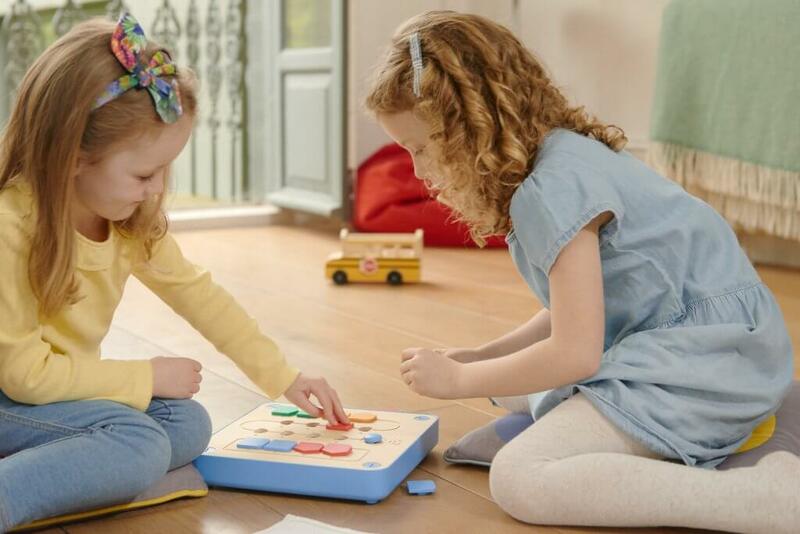 Logic blocks provide a brain-training exercise as children learn to manoeuvre with opposites and master probability and adapting to unexpected situations. It’s all about learning to think on your feet! Expand Cubetto’s world with 32 brand-new illustrated Flash Cards and never-seen-before activities. Use these in conjunction with the stories or in free play, building your own epic adventures along the way. The cards have been designed to encourage open-ended play, offering a great starting point for children to create games based on numeracy, images and flights of imagination. Ace memory games, grasp pattern recognition, play cooperatively or challenge a friend; there are no limits to your imagination. Four new story books Drift across the skies in a hot air balloon, race through town with your best friend and solve the mysterious case of the missing cat! 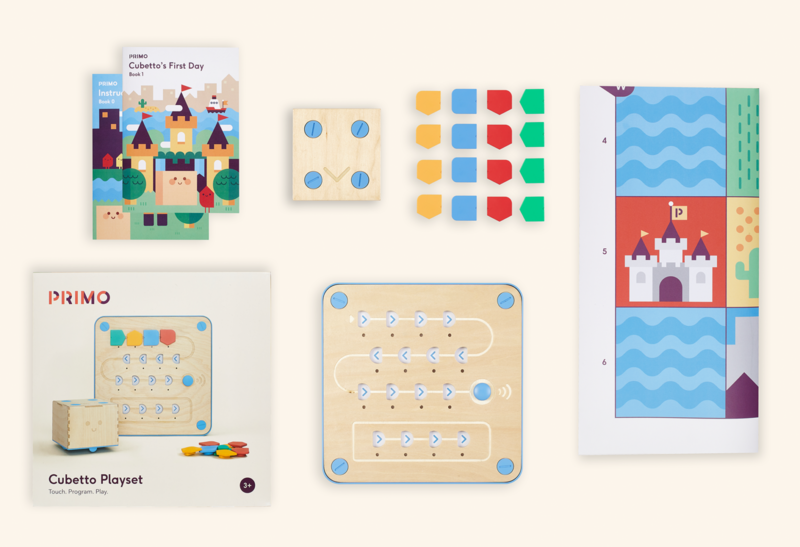 Experience four new adventures on the World Map (included as part of the original Cubetto Playset). Each adventure will introduce new concepts to stimulate even your most advanced little ones! We’ve yet to meet a child who doesn’t go ga-ga for stickers. This specially designed set, created by our expert doodlers, lets kids put their mark wherever they care to. Look out for a special craft activity using the stickers and Logic Pack box – make sure you keep it! We’ll link to it here when it’s live in our Playroom. 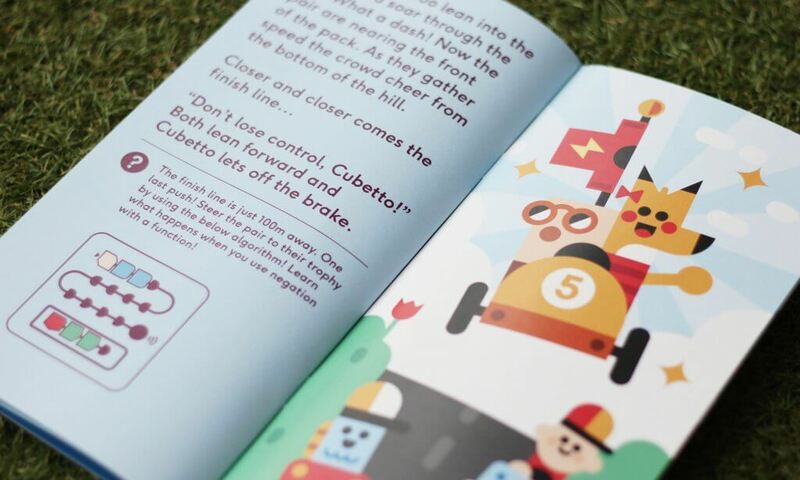 Cubetto is thrilled to invite you on this next adventure. We can’t wait to hear what you think. Get your Logic Bundle here!